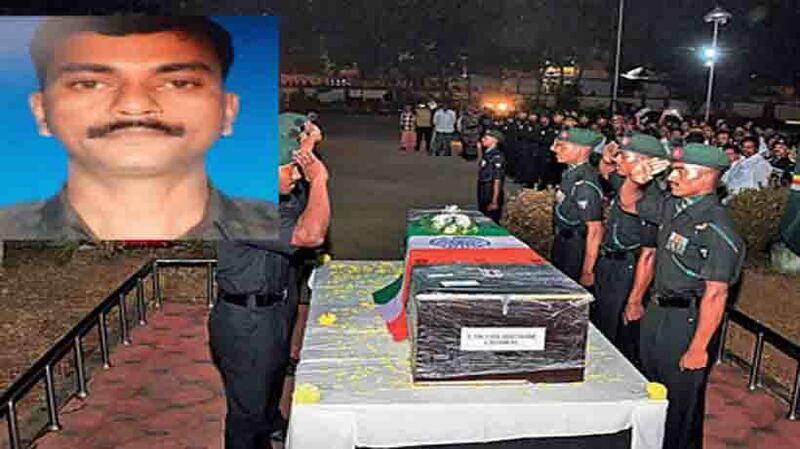 Kozhikkode: Martyr Lance Naik Sam Abraham was given final ceremonial farewell by the nation at his native place in Mavelikkara yesterday. Sam succumbed to injuries sustained in cross-border firing from Pakistan in the Jammu sector. He was given last respect by the armed forces at St Gregarious Orthodox Church cemetery where a large number of people turned up to pay tributes. Earlier, State Minister G Sudhakaran, former Union Minister Kodikunnil Suresh and Opposition Leader Ramesh Chennithala were among those who paid tributes to him. His body was brought in a special army vehicle and kept at Bishop Hodges Higher Secondary School.